Perfect for families with children of all ages. It's a steep climb back from the beach to the villa. 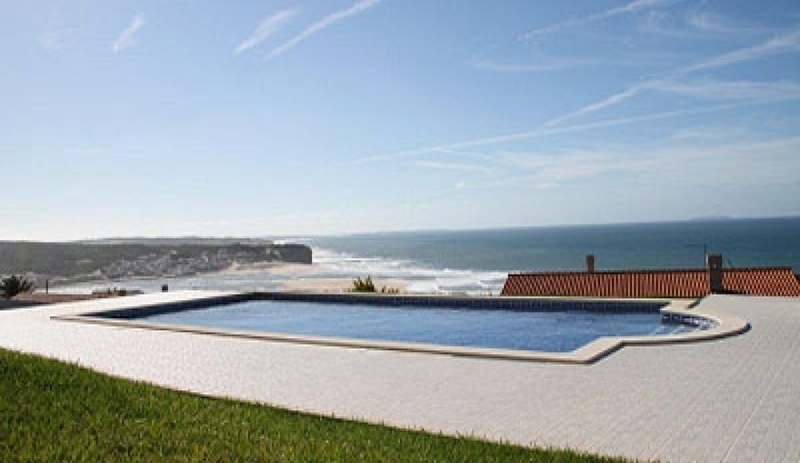 Pools in Portugal do not have child-security unless specified. The small village of Foz do Arelho is an area of great natural beauty, with the Obidos Lagoon curling alongside it to meet the sea. It is a quiet, peaceful and relatively undiscovered location, perfect for relaxation. There are plenty of activities to try: sailing, SUP or kayaking in the lagoon and surfing in the Atlantic Ocean are on offer here, and if you are willing to go a little further afield, the historic castle town of Obidos is 15 minutes away by car and Lisbon is just over an hour’s drive. 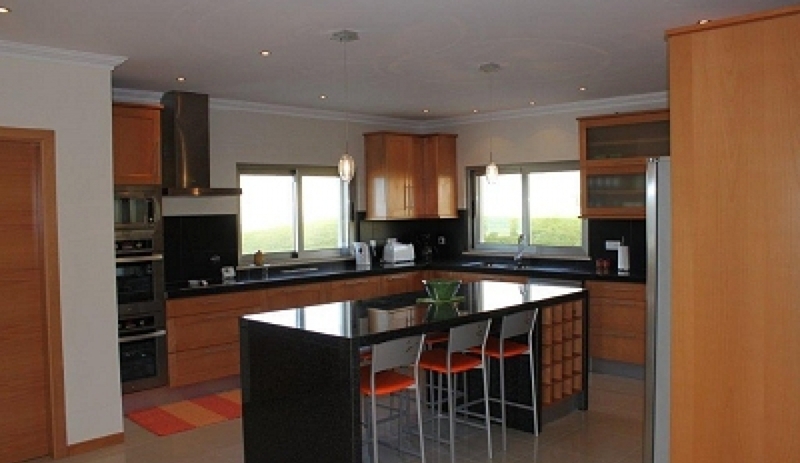 Modern villa offering very comfortable holiday accommodation and memorable views. The design makes the most of the property's elevated position above the Atlantic ocean - the southerly and westerly aspects are stunning. The main living spaces are all on one level. 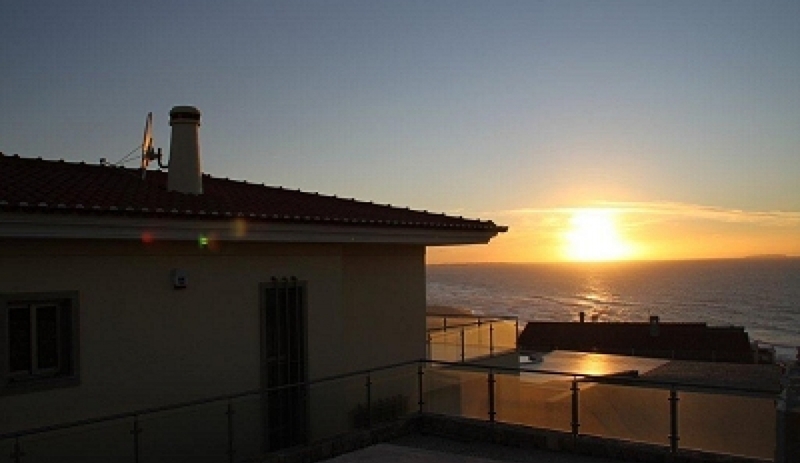 Villa Ocean is an ideal rental for one family. 5 bedrooms: 3 double bedrooms + 2 twin bedrooms. 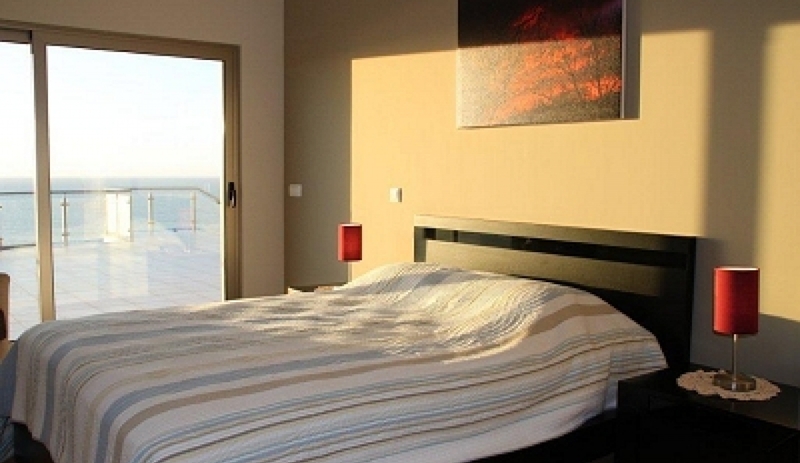 Ground floor bedrooms have sliding door access to the pool terrace. Bathroom 1 with bath-tub, shower & WC. Bathroom 2 shared by bedrooms 4 and 5. Spacious living room with dining area. Sliding doors access the pool terrace. There are ocean/lagoon views from the living room. The kitchen is of course almost new and features stainless steel appliances. Down some stairs to the basement space with table tennis, TV area, gym equipment & pool table. 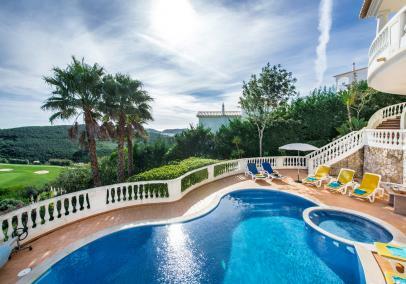 Private, heated swimming pool surrounded by an extensive terrace with those wonderful views. 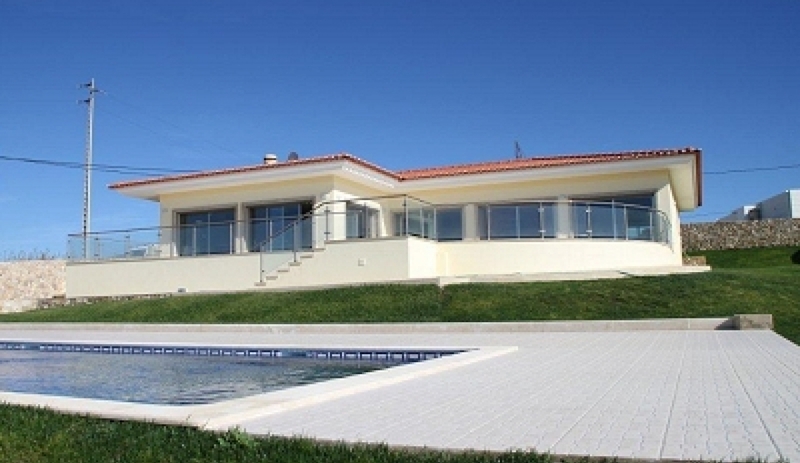 The villa is situated in the small seaside village of Foz do Arelho, adjacent to the Obidos lagoon. The area’s beaches are rated as some of the best in Europe. It is relatively undiscovered by British tourists tourist market but a firm favourite with Portugeuse. 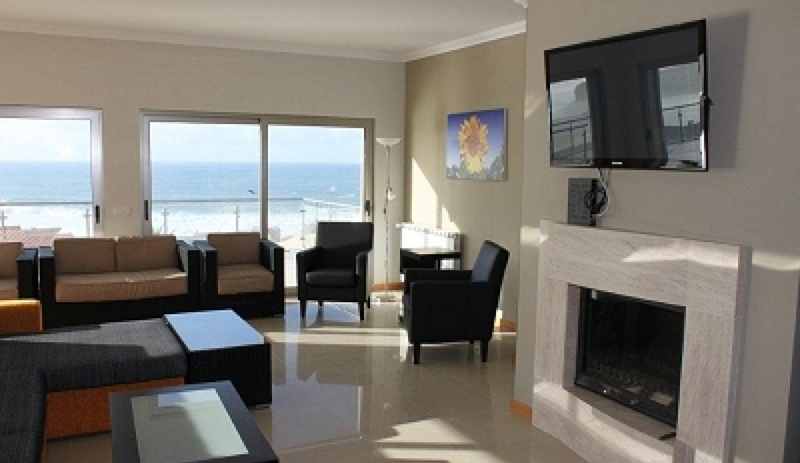 The great advantage of the location is the proximity to the beach and beach-side restaurants and cafes. It's a very short stroll. Also, the villa's elevated position guarantees those wonderful views. Product: Villa was very nice but could have been cleaner. We were told it was not overlooked but it was right next to the road with a low wall .However. location was superb ! 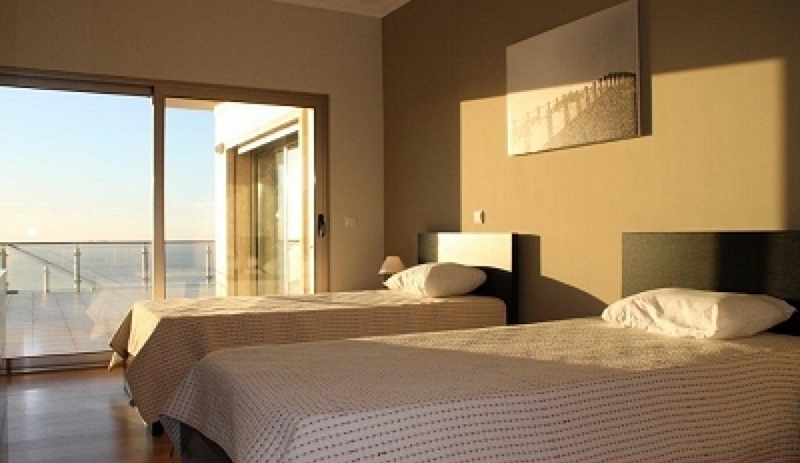 Service: Justin from Alternative Portugal provided me with excellent advice and knowledge when booking my holiday. Foz do Arelho was situated by a beautiful lagoon and the restaurants served the most wonderful fish, especially the golden bream. The villa was set in a very quiet part and the views and sunset were fantastic. We definitely would go back again. It was a beautiful part of Portugal. Product: The villa was clean and modern with views towards the lagoon. 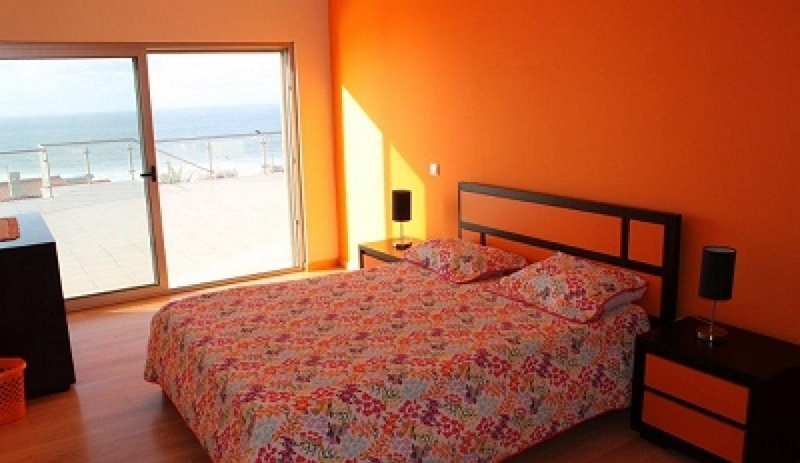 It was situated in a quiet part of Foz do Arelho with easy walking distance to the beach and restaurants. 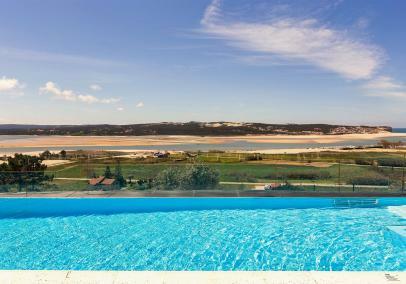 Product Comment: Hello, thanks very much for sharing your experience of Villa Ocean and Foz do Arelho. I love this resort and its setting. The villa has an amazing location and I can imagine those sunsets were incredible.